Apple is known for being many things, but friendly on the wallet is definitely not one of them. That reality was reaffirmed last week, when the company unveiled the iPhone X, along with its startling $1,000 starting price. Now, it looks like the tech giant is doubling down on keeping iPhone ownership expensive -- especially for the klutzy and case-less among us -- as it just quietly upped the fees for fixing your existing iPhone. 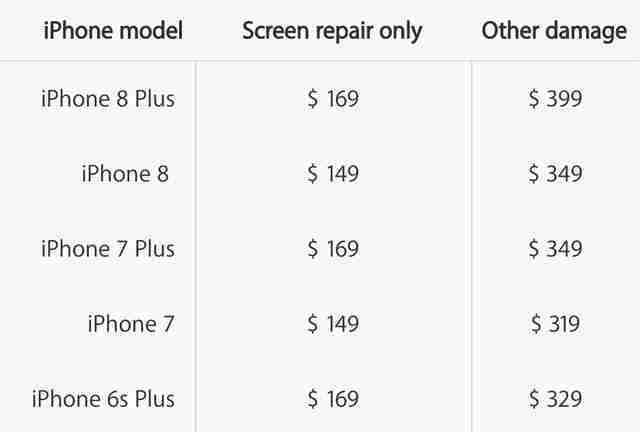 As folks on Reddit noticed over the weekend, the cost to repair your iPhone screen went up by $20 across the board for every iPhone model newer than the iPhone 6. Specifically, replacing the screen on a 6S, 7, or 8 will now cost you $149 (up from $129), and replacing the 6S Plus, 7 Plus, or 8 Plus will now set you back a cool $169 (up from $149), according to Apple's official iPhone repair website. 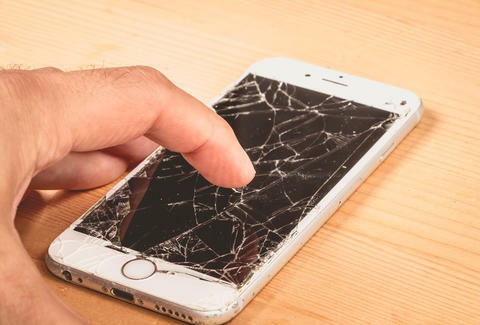 Of course, $20 may not seem like enough of a jump to induce outrage, but nearly anyone who has ever owned an iPhone knows just how delicate the screens can be, despite how "tough" Apple claims to be making them now. It's also very tough to convince them to replace yours for free. And with the 8 and 8 Plus sporting glass on both the front and back, it's easy to see how an unlucky drop could still produce that signature "spider web" of shards on peoples' displays. Notice of the screen replacement price hike follows news of Apple's decision to also quietly increase the cost of its AppleCare+ program on all larger phones. Specifically, it's raised the cost of AppleCare+ for the 6S Plus, 7 Plus, and 8 Plus from $129 to $149. To be clear, if you do pay for AppleCare+, then the cost of your first two screen replacements are just $29 a pop, but either way, you're still going to end up paying more if you own one of the larger iPhones. Apple still hasn't announced what the individual repair costs will be for the iPhone X, or what it'll charge for its particular AppleCare+ plan, but The Verge anticipates they'll be significantly higher, too. One thing's for sure: if this all isn't reason enough to convince you to keep your precious and pricey pocket computer protected in a case, then you might deserve to learn things the hard way after all.